I also agree! We had a PV3 cabin - 4011 on our last Viking cruise - and it was wonderful! Didn't feel anything as far as motion was concerned. I really liked the convenience and the quiet "dead end" like hallway - and as you said, it was either 3 up or 3 down (or a quick 2 to the Theatre). I would actually choose the PV3 over the PV1 or PV2. I saw the magazine/article just this past weekend and was ready to post it. Thanks for sharing it with everyone. Very interesting information for sure! We are Viking fans and looking forward to several ocean cruises in the next years. I just hope that they don't overextend themselves and let customer service slip . . .
so nice to see them branch out with the Chef's Table menus! We leave very soon on the Jupiter and hope it will be on the menu there. The Chef's Table has been our favorite place on our past Viking cruises - as it is the one place we can try things we don't get at home that much! And with the wine pairings, it feels like a special dinner! Sushi at the World Cafe? Great pics! Looks so familiar! We were on the Sea and they had sushi every single night - even for the special nights (Greek, Indian, Italian, etc) that were held on Aquavit Terrace. Enjoyed that you could get a bowl of soy sauce and whatever wasabi you wanted. Thanks for the reminder that we also had quite often some quite delicious Scallop sashimi. Along with the sushi bar was a bowl/platter of cooked (non-breaded) shrimp (and cocktail sauce/lemons), as well as lobster claws and sometimes other fish (cold). Could have eaten them all evening long, but there were so many other good choices for dinner, and then of course, the gelato! Hi OKCowboy - I think we are on the same Jupiter W.Europe cruise - and I also checked and was wondering the same thing! 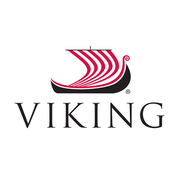 Have not received anything from Viking, so not sure what gives. Was thinking of sending them an email and seeing what happens. Couldn't hurt I guess. Although we have a nicely positioned DV2 room midships - not sure I'd want to give that up for a PV room that is at the front of the ship! We were on the SEA last February and enjoy sushi a lot. We had it pretty much every evening, often just for appetizers with wine at 6:00 PM in the World Cafe, and then came back for dinner later in the evening. I did notice that they have expanded this year to have more variety in the sushi - all fresh and delightful! The salmon was particularly buttery! We enjoyed most the sashimi (no rice), but there were quite a few sushi choices as well. I remember spicy rolls, California rolls, Octopus, Shrimp, maguro, white/butterfish, salmon, and others. Can't recall any vegetarian sushi though. All quite delicious. And the sushi section is only on the port side (also known as the gelato side) - versus the starboard side (known as the pizza side). Some pics I took. Will have to take some of the setup soon as we are boarding the Jupiter soon. Yes indeed! Quite nice! Hope the pics keep coming! Interested to see how The Restaurant looks now. Wonderful! Thx so much for sending these pics! We were on SKY in Copenhagen in fact, so wishing u all a wonderful cruise!!!! Can I help with any Malaga info? Can anyone comment on taking a visit to Nerja from Malaga, and in particular, visiting the caves? It sounds quite interesting. We will be in Malaga on a Sunday, if that matters. Will much be open on Sunday? Which ship and cruise are you on? Glad you are enjoying it and can confirm what many of us think about Viking! I can only respond with our personal experience, but we had a cruise already booked and did not have the final payment made yet. They then had a flash sale and the price dropped quite a bit. In order to get that new price, we had to "cancel" the original room reservation and pay the $100 pp. Then the room was released to inventory. We could then "rebuy" the cruise at the new price and hopefully the room we had would be available. In our case it wasn't so we got a very similar room. Since the sale price savings was quite a bit more than $100, it was well worth it! Hello Pushka - Have seen your many interesting posts. We are planning to visit Adelaide (and Barossa Valley for wine!) ahead of our trip to Australia in early 2021 to take the Viking Orion from Sydney to Bali. Looking forward to this city, which seems (by pictures, weather, and reading) to our own wine country city in California. You live in a nice place!